Four best friends-Kate, Mia, Lainey, and Gabby-travel to Never Land, where they find adventure, friendship, and ... mystery! When the girls realize that animal talent fairy Fawn is missing, the search is on. 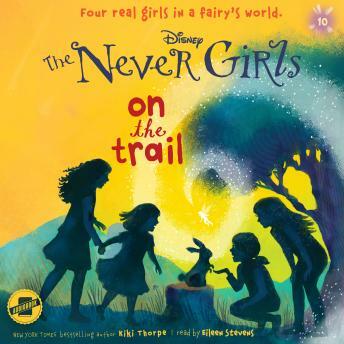 Tinker Bell and the Disney Fairies star in a magical early chapter book series for listeners ages six to nine-The Never Girls!